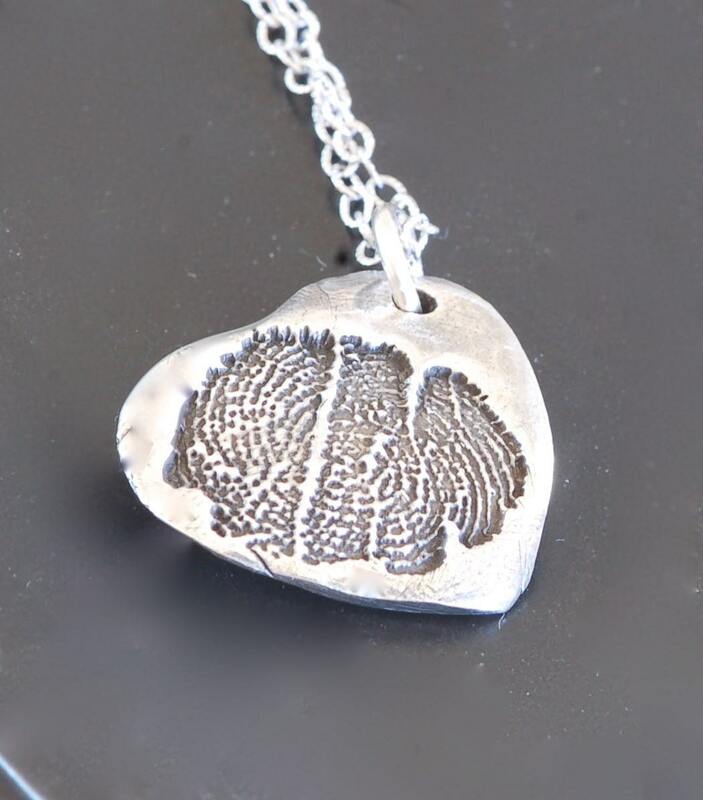 I had ordered a fingerprint necklace for Christmas in memory of my dad from a different vendor. When I received it I cried but not for joy. It wasn't anything I pictured. I went back online and found CharmedJewlrey! I had not seen her site earlier or I would have ordered originally from her! 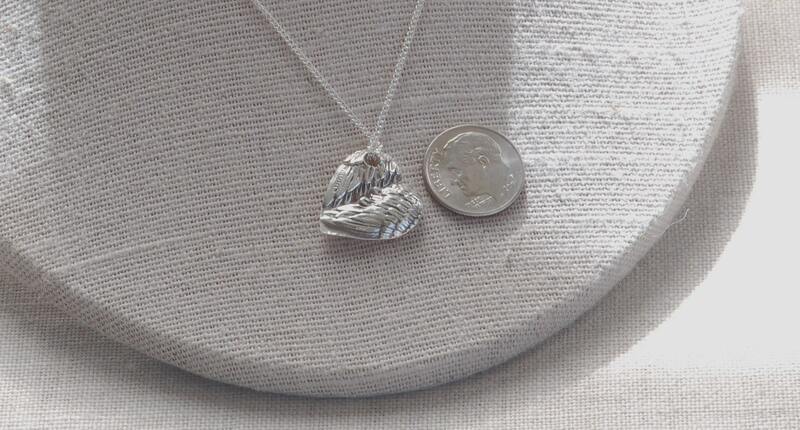 The angel wing pendant was the last one and I was drawn to it. I explained to Susan what had happened and she understood exactly what I wanted! The best part was that it arrived on my birthday! It was like my dad hugged me from heaven! Thank you for making my day! My mother recently passed away. 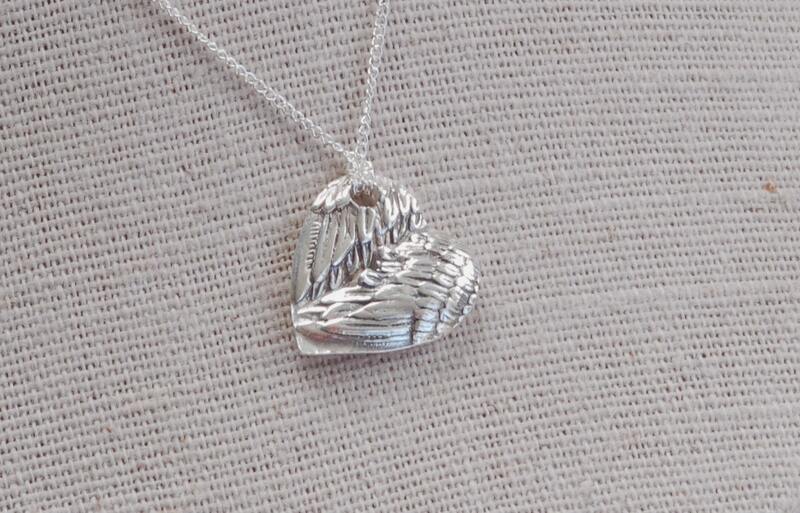 I had her fingerprint imprinted on this necklace as a gift for my Aunt (my mom's only sister). It was the PERFECT gift. The owner is a jewel herself and was very accommodating and communicated with me during the whole process. I couldn't be happier!!! 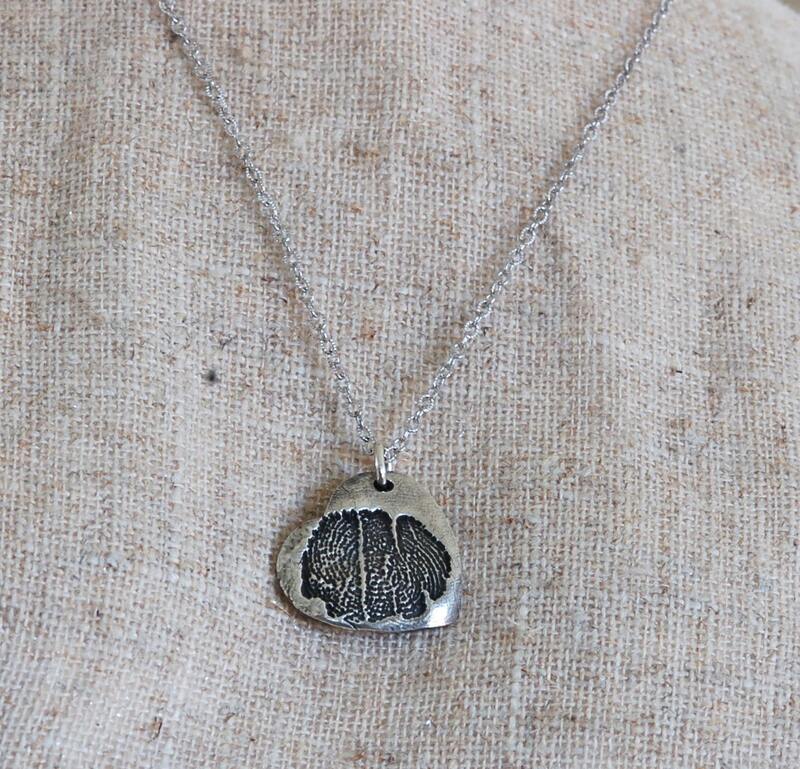 Found this finger print necklace when I was browsing through Etsy. I wasn't really looking for a gift but once I saw it I knew I had to get it and Susan was amazing through it all. She replied promptly and ensured this very last minute gift made it to its destination before Christmas. My younger brother passed last Christmas and this necklace was just a small gesture of love to brighten his mother's day especially since it's been rough as the 25th has gotten closer. Thank you Susan!! The necklace is beautiful and very much loved! !